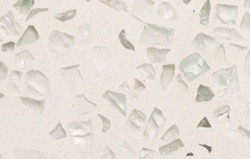 Curava countertops are made from high-quality, recycled glass that have been designed to last for years. You can carry out any normal kitchen activity like baking or cooking without the worry that the glass countertop will break or crack. 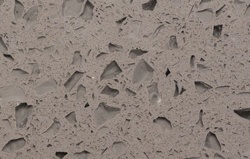 Moreover, Curava countertops are resistant to heat, meaning that you can put hot pans and plates on the surface without leaving burn marks or cracking the surface. This convenience makes it easy for you to cook and prepare meals for your family without the fear that you must take extra care with your counters. 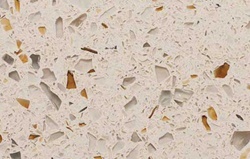 In fact Curava counters are so durable that they can compete with those made from concrete or quartz. 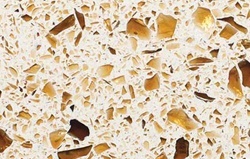 However, because they are made from recycled glass, they often prove to be more affordable and more eco-friendly. 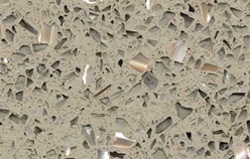 Curava countertops also come in a wide variety of colors and textures. You are not relegated to just a few choices as you would be when you consider other recycled materials. 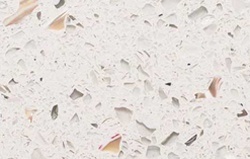 The Curava counters available from Absolute Marble & Granite can match any decor. 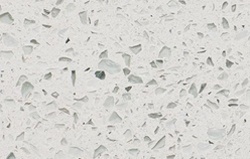 You can also choose countertops that are flecked and patterned to give your kitchen more character and dimension. 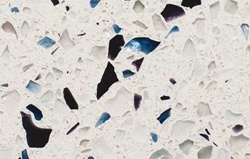 The recycled glass is actually non-porous, meaning that it will not absorb food, germs, and stains that can occur on counters made from other materials. The fact that the glass is not porous means that the counters will be more sanitary and less likely to cross contaminate foods in your kitchen. They are easy to clean with mild soap and water. With choices like Curava, you can look forward to a bright and beautiful kitchen that will be both practical and elegant, and also last for years.